Finally, Hitman is back. 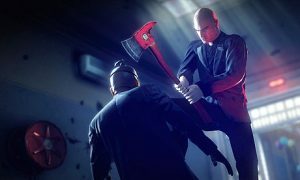 Come November 20th, you wil be able to play the latest installment of the ‘Hitman’ franchise. I’ve played the demo of this game, and it hits all the right notes. Gameplay was perfect and the graphics are amazing. The game will be available on the PS3, XBOX360, and the PC format. The trailer looks great, and if you caught Conan reviewing the game, you already saw how good this game is. Enjoy the trailer. Fox is Rebooting ‘Hitman’ with Paul Walker!! This entry was posted on Friday, November 16th, 2012 at 12:50 pm	and is filed under News, Video Games. You can follow any responses to this entry through the RSS 2.0 feed. You can skip to the end and leave a response. Pinging is currently not allowed. « Tim Burton Will Direct Robert Downey Jr. in ‘Pinocchio’!! !